The blast injured over 172 people; dozens are feared dead. The explosion leveled local residents’ homes, shaking doors and sending shockwaves across the community. 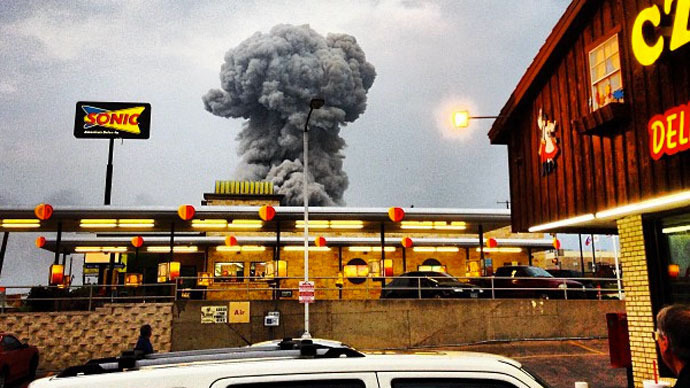 "It was like a nuclear bomb went off," a man who was looking for a lost relative on Willie Nelson Road told KVUE. "There was a huge shock wave," said Mark Licknovsky, who works at the Czech Stop less than one mile away, told the station. “I don’t know exactly what happened. I just know once Joyce and I got down there… we were on the corner of the nursing home – I jumped out and started….and went to that store, and people were just saying ‘What can we do?’ It was just like, ‘I don’t know!’ But we started pulling them [out] and they started getting people in there to help and they ran down that hall, which was totally blown up…oh God…,” a survivor of the disaster shared her experience with RT. "That's when we knew something was serious." Local resident Keith Williams said his house was completely destroyed. "All the ceilings are out. The windows are out. The brick’s knocked off the house. My big garage out back is half blowed in," Williams told ABC News Radio. He also saw "people with all their houses tore up across the street from me, on each side of me. ""Shook my doors!" wrote Nancy Procaccini on her Facebook page. "Thought it was earthquake!" Bill Bohannan was visiting his parents at their house in West, near the plant, and witnessed the explosion. “I said, ‘This thing is going to blow’… and I told my mom and dad to get in the car. I was standing next to my car with my fiancee, waiting for my parents to come out and [the plant] exploded. It knocked us into the car… Every house within about four blocks is blown apart,” he told the Waco Tribune-Herald. A young father-of-two who lives less than a mile from the plant, Jason Shelton, said he heard fire trucks heading toward the facility several minutes before the explosion and felt the shockwave from the blast. "My windows started rattling and my kids screaming," he told Reuters. "The screen door hit me in the forehead ... and all the screens blew off my windows." 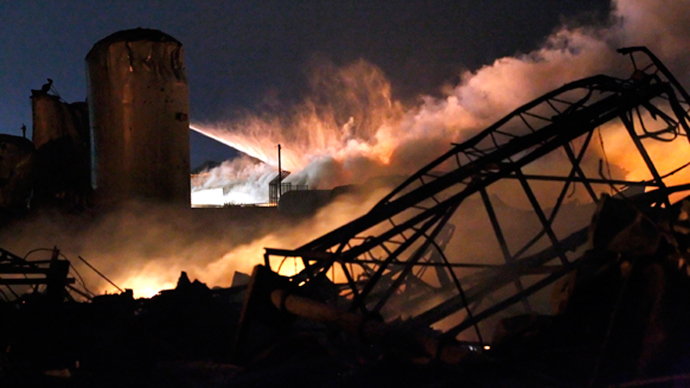 Crystal Anthony, who serves on the West Independent School District board of trustees, said she and her daughter were “knocked back” by the explosion as they stood blocks away from the plant. Dr. George Smith, stationed in a local a nursing home, has confirmed emergency worker deaths. “I knew the EMS people [who were killed] very well – they were friends of mine,” he told CBS 11.